One thing we look forward to when going on holiday is the travelling to our destination- the excitement and anticipation ,especially for the children is such a lovely thing to see.The games we play and what we can see on the way all makes the holiday that little be more special and essentially we are making memories. The last thing anyone wants before this is a delayed flight or a cancellation. The Ryanair fiasco that has come to light recently where flights have been delayed and even cancelled, due to an administration blunder, has left holiday makers devastated. With the recent news of as many as 315,000 could be cancelled within the next 6 weeks has made me think back to our holiday dilema. Our flight was actually delayed when we went to Turkey, which was an absolute nightmare.The children were so restless and being a sufferer of anxiety,and also my first time on a plane, i really was an absolute mess and would of never thought we would be entitled to anything. 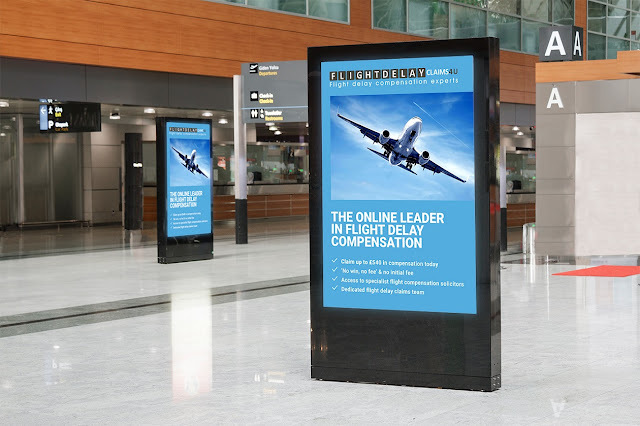 Flight Delay Claims 4 U is a company based in Manchester since 2016, that specialise in compensation claims for flight delays,cancellations or diversions, within the last 6 years of your travels.They have expert lawyers, which will be allocated to your case that have a vast experience of precedents,law interpretation and previous rulings. You will also been given a calculation of approximately how much compensation you are entitled to-i wish i had known about a company like this years ago. Risk-Free compensation claims- meaning no win,no fee.All claims have no upfront fee and there is no cost whatsoever unless your claim has been successful. Hassle-free compensation claims- taking the stress off of their clients, the case is handled for you, including all airline correspondence and any court case proceedings.So there really is no need to worry at all. As soon as a settlement is received,they will then transfer what you are owed with maximum efficiency through their prompt payment procedures.